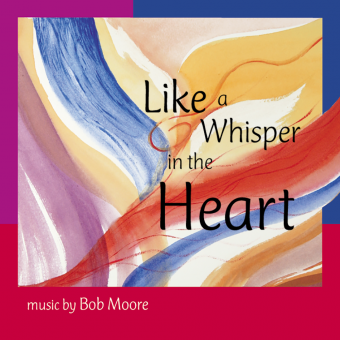 Featuring the texts of today’s most prolific contemporary hymn writers and the extraordinary, melodic writing of composer Bob Moore, Like a Whisper in the Heart is a choral treasure! 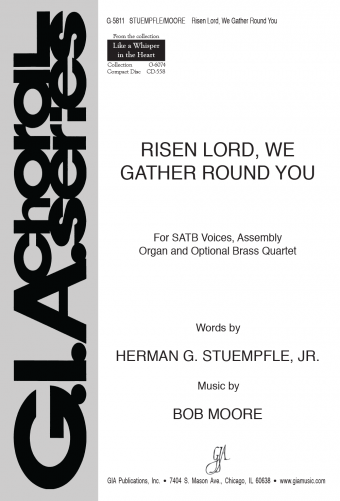 Moore graces the words of Herman G. Stuempfle, Jr., John A. Dalles, Sylvia Dunstan, James Quinn, SJ, and Brian Wren with his sensitive, pastoral compositional style. The collection includes full, rich, and often challenging pieces for gathering, Lent, Easter, Communion, music-makers, and Christmas, crowned with a new setting of the traditional Irish blessing. CONTENTS: Risen Lord, We Gather Round You (G-5811); O God, Behold Your Family Here (G-5588) - Like a Whisper in the Heart (G-5231) - Make Music for Your Lord to Hear (G-6075) - Christ Is Risen! Shout Hosanna! (G-5347) - Down Galilee’s Slow Roadways (G-5502) - Taste and See the Goodness of the Lord (G-6076) - Come Gladly, Come Gaily, Come Gather Together! (G-6077) - Send, O God, Your Holy Spirit (G-6078) - Earth, Earth, Awake (G-6079) - Where the Promise Shines (G-6080) - An Irish Blessing (G-6081). Come Gladly, Come Gaily, Come Gather Together!